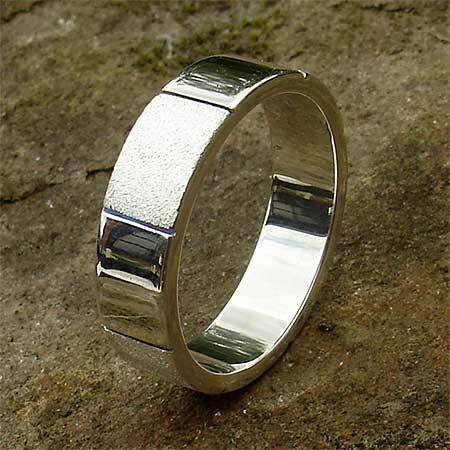 Size V Silver Wedding Ring : SALE : LOVE2HAVE in the UK! 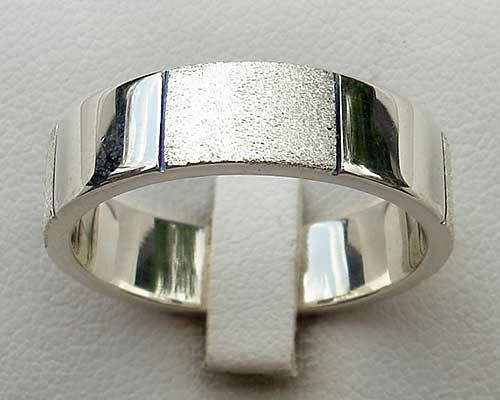 This Size V silver wedding ring features a panelled twin finish that alternates around the ring. There are eight separate panels, all divided between one another by deep black etched cutaways. The two finishes on the panels are very contrasting in appearance. 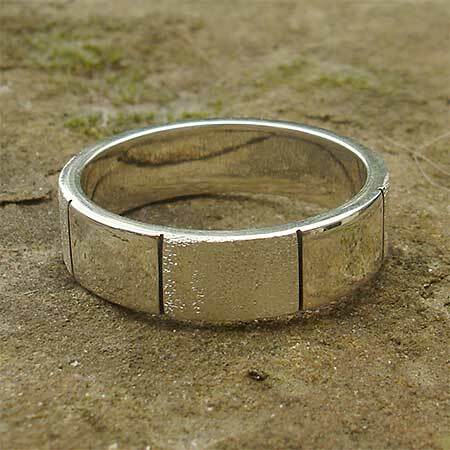 One is highly polished while the other is frosted. By frosted we mean slightly dimpled and matte in finish.